Meet Rishi Piparaiya – wearer of many hats, sometimes all at once. At other times, think of him as a juggler whose various hats are, er, up in the air, much like his bodily presence that has clocked in tens of thousands of hours flying. When he does not have his nose to the grindstone as head honcho at a top insurance company or running football betting syndicates in Spain or completing half marathons in under three hours, he’s well, … up in the air, quite literally; this corporate executive is most often stationed at 38,000 feet over India, to be precise. Meet India’s Ryan Bingham (for the uninitiated, this is George Clooney’s character in the Oscar-nominated film, “Up in the Air”) who did not allow the “sheer drudgery of crowded airports, stiff security, delayed flights, uncomfortable seats, turbulent journeys and lost luggage,” dampen his spirit or his resilience. Instead, he wrote a book about it! A book. Aisle Be Damned is a hilarious take on everything associated with air travel. Booksoarus caught up with the “over-worked, over-travelled corporate executive based in the skies,” and chatted about his book, the writing process and the innovative (and inspirational) strategy he employed to get the coveted “Published-Author” status. Booksoarus: Just like you, a lot of our readers have very demanding full-time jobs and quite like you nurse large writing aspirations. Given the nature of your job, how did you manage to complete your book? Rishi: Although I took only 5 or 6 intense weeks to complete much of the book, the experiences that have been captured in the book were in play from much earlier on. It took me 2 solid days just to jot down the bullet points and to plan the story. Once I began writing, the thoughts and the writing kept flowing. I didn’t want to lose that momentum and hence I completed the book in one go. A lot of my writing during that period was done on the various flights I took as part of the travelling that I had to do because of my work. I would write on my Blackberry while waiting at the airport or while on the flight. And every time I flew, I realized that there were more anecdotes, newer observations and insights that I wanted to add to my writing. I’d write all these down and a lot of these observations were tackled at the editing stage. The structure of the book came in much later. I had written a little over 150 pages this way (putting together observations and thoughts) and later I decided to structure the work in the chronological order of a journey – travel to the airport, check-in….all the way until the last leg of travel – somebody receiving the passenger at the arrival airport. Despite this structure, there were a bunch of thoughts that I felt deserved a place in this book and that’s why we have the last chapter. Booksoarus: Tell us a little bit about the time-frames involved. For instance, how many hours a day would you write? What sort of self-disciplining did it require? Rishi: I began writing this book in November 2012 and the manuscript was ready by mid-December. I took only around 5-6 weeks to complete it. As soon as I would come back home from work, I’d write. During the weekends I’d write until the wee hours of the morning – Fri nights until Monday morning when it was time to go to work. I got really swamped at work during the first half of 2013 and it was only during the summer that I found some time to get into editing with my publisher. And we wrapped up that process over a month or two. I’ve spent tens of thousands of hours flying and this book is essentially a compilation of my random thoughts and observations that came together in the form of a book during and in between flights. Booksoarus: The task of getting one’s work published seems like a very daunting task. Tell us a little about the evolution of your book from idea to manuscript and finally the publication process. Is your work represented by an agent? 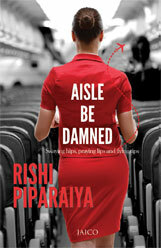 Rishi: As somebody who wasn’t too familiar with the publishing industry, I didn’t know too much about literary agents. I did google it and began looking for agents but I didn’t quite zero in on anybody. I came across a lot of publishing houses but it seemed a little difficult to go through the traditional process; publishers probably get 1000s of unsolicited manuscripts every day and I wasn’t really excited about sending an unsolicited word document in the mail. I decided that I had to do something in order to get their attention and so I first self-published the book; I got 5 copies printed, initially. I invested a lot of time and effort to design a nice cover for the book, a swanky one that I was confident would be a sure attention-grabber. I believe that the cover is a very important part of the book. A random book-browser in a bookstore is attracted to the cover; the cover garners attention. I then wrote a one-page summary of my book and put together a little bag of sorts – a copy of the book with the swanky cover and a one-page synopsis of the novel went into it. I went to the Delhi Book Fair and met many publishing houses who had put up their stalls at the Fair. I went from kiosk to kiosk, one stall to another with my book. I would ask for the right contact at each of these kiosks and leave behind the little pack. Booksoarus: That’s a quite a story! What sort of reaction did you get from these publishers at the fair? How did all of this (!) culminate into a book? Rishi: I can honestly say that I heard back from most of the publishers I approached. I cannot say that everyone was interested; but everyone was surely intrigued. At first they were a little tentative. Nobody knew what to do. It was a random topic, a random writing style. Nobody had done anything like this before. Nobody was saying, “This is going to be our biggest best-seller in 2014,” but nobody was saying no either. Some of them told me that the cover got their attention. I got a lot of contacts at the Delhi Book Fair and at some point almost all top publishers showed interest in the concept, in the book and were willing to publish my work. I believe that if you are passionate about something, you see it through. Booksoarus: So how did you finally choose a publisher? Rishi: I wanted a publisher who would accord top priority for my book. If the publisher is too small, they will not be able to give it the right push and attention. If the publisher is too big, it may not become one of their most important projects. I think Jaico Publications was perfect, in that sense. 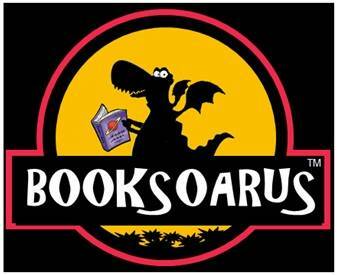 Booksoarus: Now that book is out and up there on bookshelves, are you happy with the way the book has been received? Rishi: The book is intended as a fun read for people to pick up on the go, at airport bookstores for instance – a light read, to read and enjoy. The book was formally launched in November 2013 and the response has been very positive. By and large everybody has liked it. I understand that books are not like movies, reaching a blockbuster mark over a long weekend. It’s not about the sales volumes in the 1st 5 days. It takes time for word to get around, for sales to pick up. My publishers tell me, “You’re a corporate guy. Be patient.” The initial burst of energy has been very heartening and slowly the buzz is picking up. Booksoarus: Tell us a little about the genre and the intended audience. Humour is considered a tough genre to crack and it has often been said that humour cannot really be planned. How did you plan the writing, the anecdotes, and the plot of the story? Rishi: Humour is indeed a difficult genre to crack particularly because humour is not really universal. Every one has a different take on what’s funny and what’s not – some people prefer fact based humor, some slapstick, some satirical. Much of this book is an exaggerated version of the truth – most of what’s in the book is kind of real. In fact, a lot of it is real. Every anecdote has a story behind it. To make it more appealing, it might be a bit exaggerated as I add my own spin and humour to it. I had a lot of fun, writing this book. Laughing and chuckling to myself with a single malt in my hand. I wrote it from the perspective of a typical corporate executive or business / leisure traveller. However I am finding acceptance with all demographics. Surprisingly the book is doing really well with the younger crowd – straight out of college, first job… I’ve got extremely positive feedback from that segment. It’s good that it appeals to a diverse segment, diverse group. Booksoarus: Tell us a little bit about your journey as a writer. When did you start writing? When and why did you choose to write a book despite your flourishing corporate career? Rishi: I can’t really point out when but I think a lot of writing stemmed out from work. I used to write satirical emails at work sometimes to diffuse tension and that would viral out, used to happen very often. People would laugh about it. I had dabbled with writing books in the past but never got round to completing them. This time I was keen that I complete this project. Booksoarus: How did you market the book? What are your views on marketing books and what do you think an author’s role should be in the whole process? Rishi: I am a marketing professional. I don’t think publishers have the budgets or the complete expertise to effectively market books. Honestly, I don’t even see how publishing, in the traditional sense, even makes money on most of their books. It is a very crowded field out there. As an author you are vying for the most expensive resource, “a reader’s attention.” You are competing with things like the Television and internet for a reader’s attention. As far as marketing is concerned, I think authors need to be out there. In my case, I have an FB page, a twitter handle and a very, very, cool website. I created a lot of pre-launch buzz for the book through online and social media platforms. It’s tough for first-time authors to get featured in traditional media but whether an author has marketing expertise or not is secondary. If they are passionate about their work, their product so as to speak, they have to be out there, reaching out to their readers. Authors have to ask themselves this question: How do I create interest for the book in the reader’s mind? A publisher is often publishing a little over 100 books a year – that’s like a book every 3 days. How much will he care about a launch that happened, say four months ago? The publisher will only be able to spend as much time as he can afford on the marketing aspect of the book. Sometimes the only one holding the baby is the author! Booksoarus: What advice would you give our readers who want to write along-side their demanding careers? Rishi: Work to be creative. This is a staid and regimented industry. Someone who has a creative streak should be able to network and leverage his or her personal contacts. And, you have to get down to the story and start writing. It’s not like one of those other resolutions, “Tomorrow, I will go the gym or I will start walking.” If there is a story in your mind, invest in it. Plot it out, chart it out until it all falls into place, which it will. It again was an inspiration for me!!! You have to be creative and to be creative just listen to your heart. Ideas automatically follows. And if you want to be a yourself printed… You have to stop just being a THINKER and start being the DOER… you have to start acting…. Thanks!!! It’s really an awesome site to get the sight of your long desired dream!! Read this interview just in a random google search regarding the knowledge on book publications. Yes, I got some points after reading his experiences right from the knot of the book till the sales of it. INNOVATION… Yes, thanks Mr. Rishi. This word ‘innovation’ shall help a writer’s submission from getting stagnant in Slush-Pile. Thanks! Regards, Dr.R. 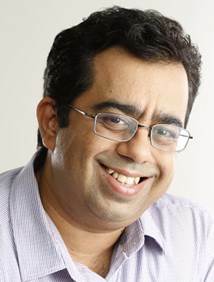 V. Nagarajan. I was just surfing the net for how to get books published and this site. The interviews of new age writers are very inspirational for me as well as all those folks who aspires to be an author someday. This year, I have resolve to write. And reading this interview, I thought, if there’s passion one can achieve what he intends. Rishi had prooved it. I’m working on a homosexual love story, can i publish it without any trouble? Please let me know.